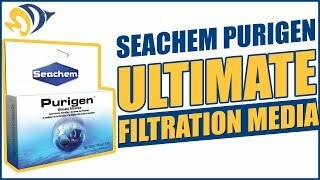 SeaChem Purigen is a premium synthetic adsorbent that is unlike any other filtration product. It is not a mixture of ion exchangers or adsorbents, but a unique macro-porous synthetic polymer that removes soluble and insoluble impurities from water at a rate and capacity that exceeds all others, even HyperSorb, by over 500%. This product is just absolutely amazing. The best media on the market to keep your tank crystal clear. I use it in all of my tanks. The product can also be recharged for continuous use. Love it! This is my favorite filter media ever! Fresh or salt this stuff keeps water spotless. did a good job clearing the water in my tank. Will recommend. I buy the product already in the bags to make my life easier. I toss one in my tank and BINGO all set and a crystal clear tank. This stuff is great because it comes in a bag that is compact and it keeps your tank in great shape, amazing stuff.